As research supporting the clinical effectiveness of chiropractic continues to grow, the greater community of health care providers is increasingly seeing chiropractic care as a a cost-effective alternative to traditional medical care for back pain and neck pain. In theory, it’s easy to see why chiropractic care can help patients find more complete relief from pain faster and at a better cost than traditional medical care, but it’s always nice to have evidence to back it up. Fortunately, a number of recently-published studies from several established medical journals provide just that. First, let’s examine what the latest research has to say regarding chiropractic’s clinical validity for spinal conditions. A 2012 review on the efficacy, cost-effectiveness, and safety of CAM (complementary and alternative medicine) treatments, specifically chiropractic, found that, “CAM treatments were significantly more efficacious than no treatment, placebo, physical therapy, or usual care in reducing pain immediately or at short-term after treatment.” So as many of our Milwaukee-area patients can tell you, chiropractic holds up exceedingly well as far as its clinical effectiveness is concerned. How about the cost-effectiveness of chiropractic? A recent article from the journal Spine showed that between 1999 and 2008, while inflation-adjusted costs of medical care for neck and back pain increased 95%, the cost of chiropractic care stayed the same. Even better, multiple studies have confirmed that patients who utilize regular chiropractic care actually spend significantly less annually than those who don’t. A 2007 study compared care costs of a patient under the direction of a chiropractor as their primary care physician (PCP) versus a medical doctor. After 70,000 member-months spanning a 7-year period, the researchers found that among those who utilized chiropractic care, “hospital admission costs were decreased by 60.2%, cost of days spent in the hospital were decreased by 59.0%, outpatient surgeries and procedures were down by 62.0%, and the costs associated with pharmaceuticals decreased by 85 percent when compared to those utilizing only conventional medically driven care.” It’s hard to argue with that kind of evidence! Even health insurance companies are high on the cost-effectiveness of chiropractic! A 2010 study published in the Journal of Manipulative and Physiological Therapeutics found that low back pain treatment initiated with a chiropractor saved 40% on health care costs when compared with care initiated through a medical doctor, based on data from 85,000 Blue Cross Blue Shield members over a two-year span. The participants had open access to MDs and DCs through self-referral, and there were no limits applied to the number of MD/DC visits allowed and no differences in co-pays. The researchers estimated that utilizing chiropractic treatment first would have led to an annual cost savings of $2.3 million for BCBS just in the state of Tennessee! Looking at chiropractic care’s excellent clinical track record and considering how inexpensive it is to come to Ascent Chiropractic for treatment, it’s an easy decision. Looking for a Brookfield chiropractor? We’d love to help you get started with chiropractic care. Make an appointment at Ascent Chiropractic in Brookfield by calling 262-345-4166 or schedule an appointment with our online scheduling app. Furlan, AD et al. (2012). A systematic review and meta-analysis of efficacy, cost-effectiveness, and safety of selected complementary and alternative medicine for neck and low-back pain. Evid Based Complement Alternat Med 2012:953139. Davis, MA et al. (2012). Where the U.S. Spends its Spine Dollars: Expenditures on Different Ambulatory Services for the Management of Back and Neck Conditions. Spine 37(19):1693-701. Martin, BI et al. (2012). The association of complementary and alternative medicine use and health care expenditures for back and neck problems. Med Care 50(12):1029-36. Liliedahl, RL et al. (2010). Cost of care for common back pain conditions initiated with chiropractic doctor vs medical doctor/doctor of osteopathy as first physician: experience of one Tennessee-based general health insurer. Journal of Manipulative and Physiological Therapeutics 33(9): 640-643. 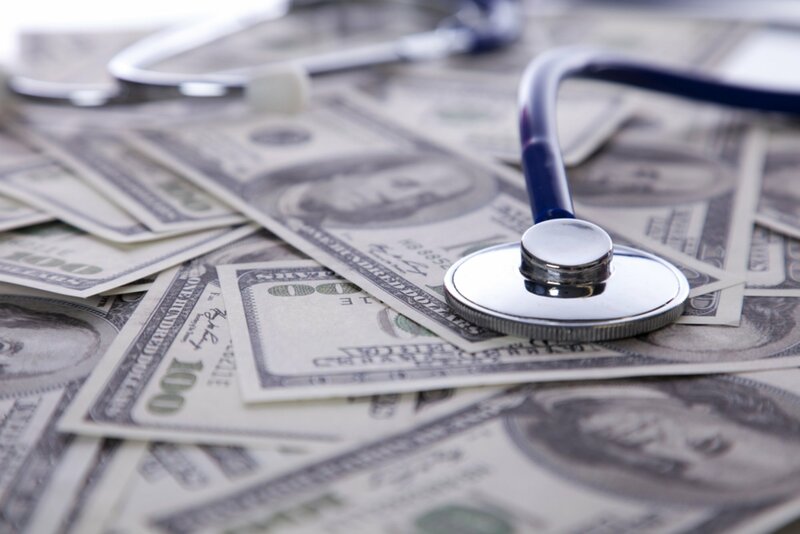 Many don’t realize that things like visiting a chiropractor or physical therapist could save hundreds or even thousands dollars worth of medical bills each year. The use of chiropractic care, which was once frowned upon by the majority of the nation, has become a popular form of alternative medicine. Very good to know that the greater community of health care providers is increasingly seeing chiropractic care as a a cost-effective alternative to traditional medical care for back pain and neck pain.